See the All New Suzuki Jimny up close at Eastwood Central Plaza this weekend! Suzuki Philippines gives you the chance to get up close to their latest offering, the all-new Jimny All-Grip Pro at the Eastwood Central Plaza today March 16th till tomorrow the 17th and then will head over to the UP Town Central Plaza on March 22-24.
can check out the fourth generation of Suzuki’s trademark 4×4 and other models live and up close. Fun activities and games await off-road adventurers during each leg of the launch. Fans can choose their vehicle’s armor because this off-road warrior comes in two variants: monotone and two-tone.The monotone variants are Pearl Bluish Black, Solid Medium Gray, Metallic Silky Silver, Superior White and Solid Jungle Green while the two-tone variants are Solid Kinetic Yellow, Metallic Brisk Blue and Metallic Chiffon Ivory. 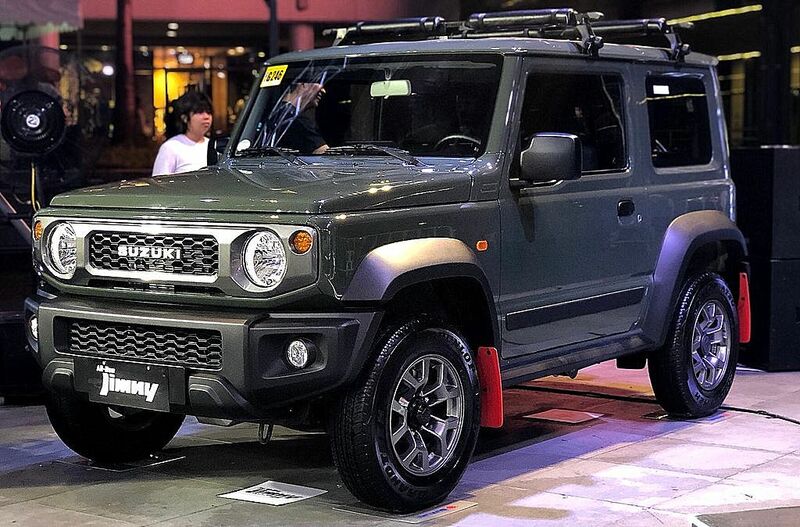 Prices for the all-new Jimny are Php 975,000 for GL MT; Php 1,035,000 for the GL AT; Php 1,085,000 for the GLX AT monotone and Php 1,095,000 for the GLX AT two-tone. The Suzuki Jimny All-Grip Pro is now available in all authorized Suzuki dealers.